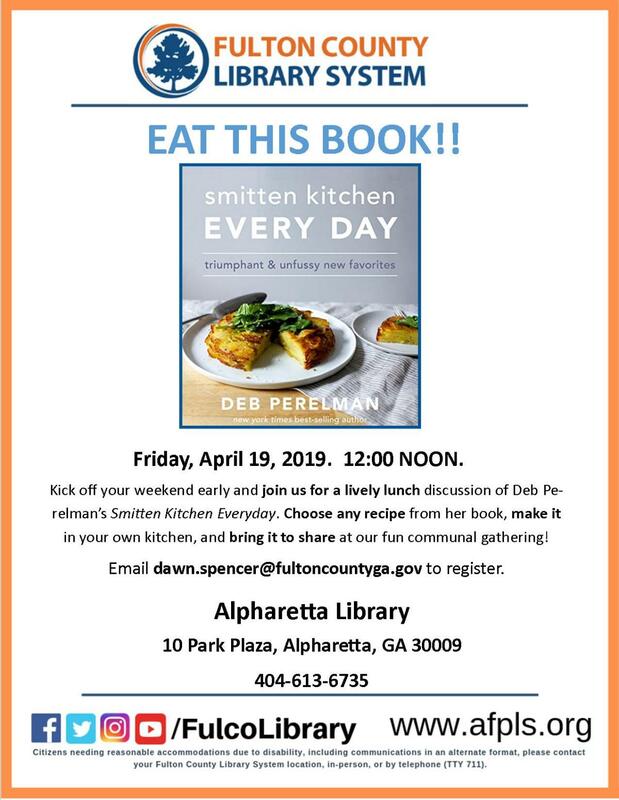 Kick off your weekend early and join us for a lovely lunch discussion of Deb Pereleman's Smitten Kitchen EVERY DAY. Choose any recipe from her book, make it in your own kitchen, and bring it to share at our fun communal gathering! Books available in the branch. Everything provided but the dish you bring and your charming conversation. R.S.V.P so I know to set a place for you at the table.